Anywho, I just found a video about an interview with Taka-san on youtube. Here you go! 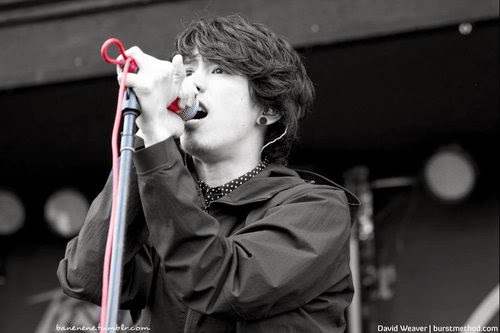 ONE OK ROCK Interview: Taka "Rock On The Range 2014"
Oh man. He's so adorable, isn't he? And did you realize that? His English is obviously getting better and even better right? :3 Wow. And yeah, The Beginning is also my favorite song! LOL. And you know, it's really funny when he said, "Let's Rock'n'Roll!" XD Hahaha. I loved it! Ahah. By the way, I have to go now. It's lunch time already! Bye! Noo~ He's minee XDD Hahaha jks.